If WhatsApp was a country, it would be the most populous country in the world. 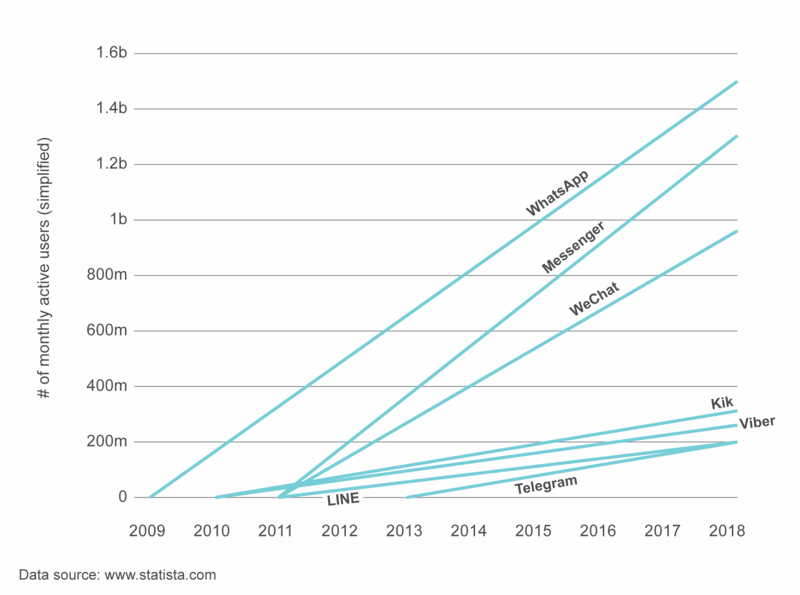 😱 The Facebook-owned messaging app has 1.5 billion users (as of January 2019) and dominates in most of the world. Trailing WhatsApp in the messaging market is another Facebook product, Messenger, which has a not-too-shabby 1.3 billion user base. The stunning stats above demonstrate the ubiquity and impressive reach of messaging. For many people, instant messaging apps—together with SMS—have become the default way of communicating with friends and family. Consumers consider these apps must-haves—something they can’t live without on a day-to-day basis. One research claims that messaging has more than 6 billion active monthly users. While messaging has steadily gained users these past few years, the market research industry hasn’t really taken advantage of this channel yet. 🤔 Most research technology platforms still rely heavily on email to reach participants—a problematic approach given how saturated this channel has become. If your market research team is yet to use messaging platforms to engage consumers for insights, here are some compelling reasons why you should change that ASAP. Getting an accurate read on the evolving attitudes, preferences and opinions of consumers requires going where people are. To be able to get a significant amount of feedback from people, you have to engage them in channels they hang out in. Increasingly, messaging platforms are where people are at. In fact, the top four messaging apps in the world (WhatsApp, Facebook Messenger, WeChat, and Viber) now have more active users than the most popular social media sites (Facebook, Instagram, Twitter and LinkedIn). 🤯 This has been true since 2015, according to BI Intelligence. And if you think messaging is only popular among young people, think again. This means of communication is in fact very popular among all demographics. 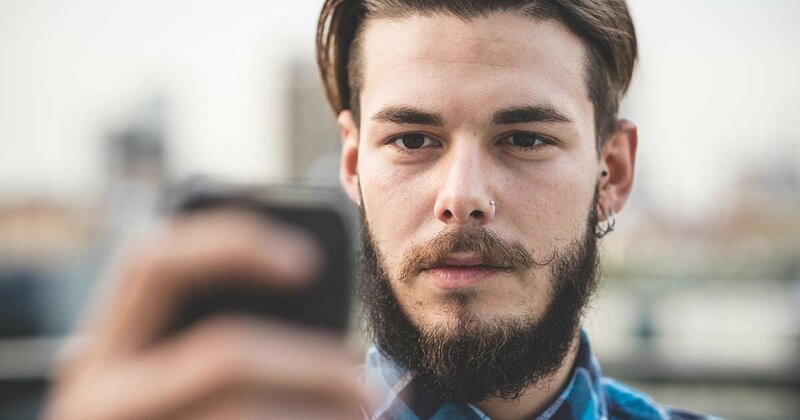 According to Facebook, a majority of Gen Zers, Millennials, Baby Boomers and Gen Xers prefer to communicate with businesses on messaging rather than email or phone calls. The popularity of messaging has already captured the attention of marketers. 🧐 According to Digiday, many marketers are already investing in campaigns that target messaging apps. 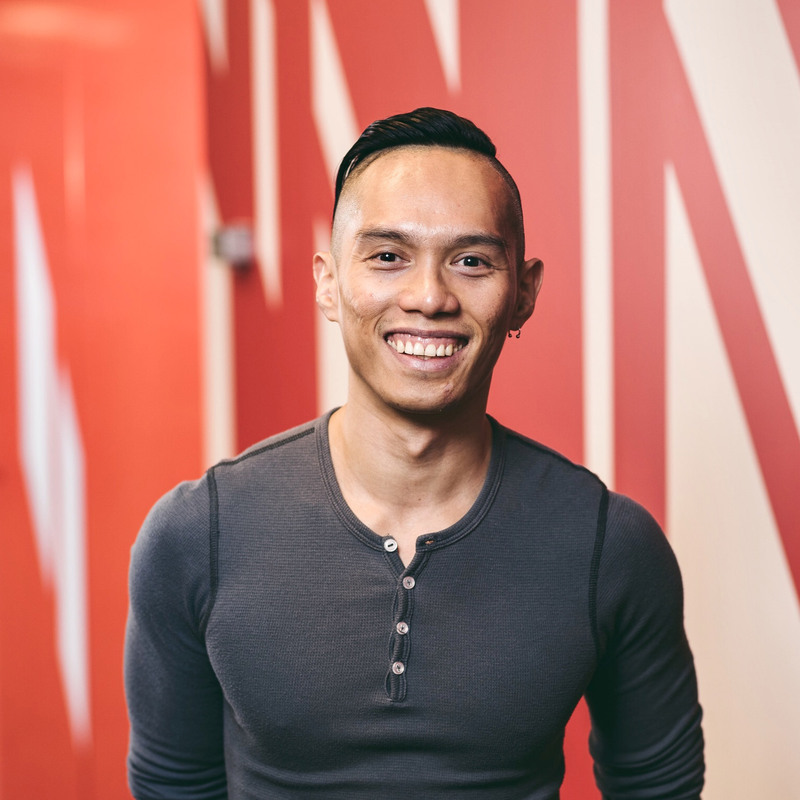 Given the universal appeal of this channel, it’s time researchers follow the lead of marketers and go where customers are. Today’s messaging apps are mobile-first. Because they are on people’s phones, messaging apps have the ability to reach customers wherever they are. People’s behavior on messaging platforms is very different from emails. On messaging, people are used to responding almost immediately. “Unlike email, messaging is an ‘always on’ medium,” a Wired article recently points out. 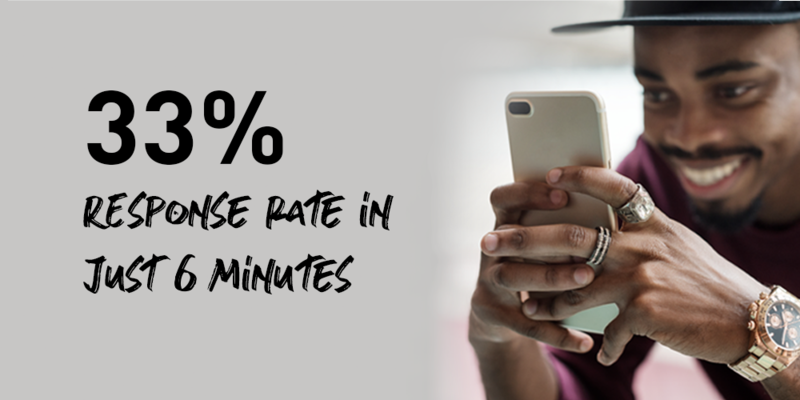 “An immediate response is the norm—the average first-response time is 47 seconds.” Mobile notifications is a big reason for this instantaneous response. Unlike email, messaging is an “always on” medium in which an immediate response is the norm—the average first-response time is 47 seconds. The alway-on nature of messaging platforms means they lend themselves well to real-time market research during live events. In one example, the Vancouver Canucks 🏒 saw a 33% response rate in a chat survey in just 6 minutes. This type of immediate response is virtually impossible via email surveys. Messaging is inherently conversational and fun. The most popular messaging apps have built-in functionalities that make it seamless for people to use emojis, GIFs and videos in their chats with friends and family. 😍 When used right, these features can make the experience for research participants more enjoyable. 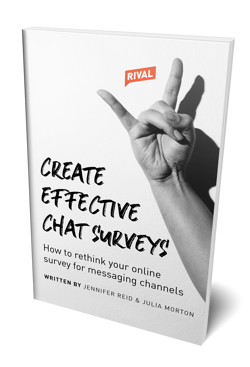 In fact, a recent research on research on chat surveys—conversational surveys sent via SMS and messaging platforms—shows that people find the experience on compelling. 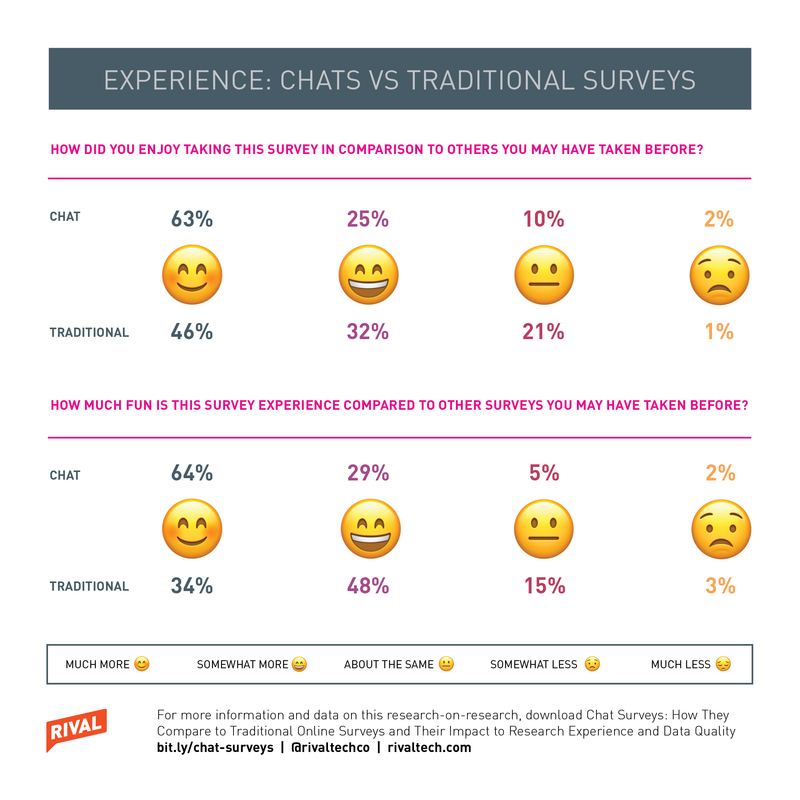 Ninety-three percent (93%) thought the chat experience was more fun than traditional online surveys; 77% also thought chats were easier to complete than typical surveys. 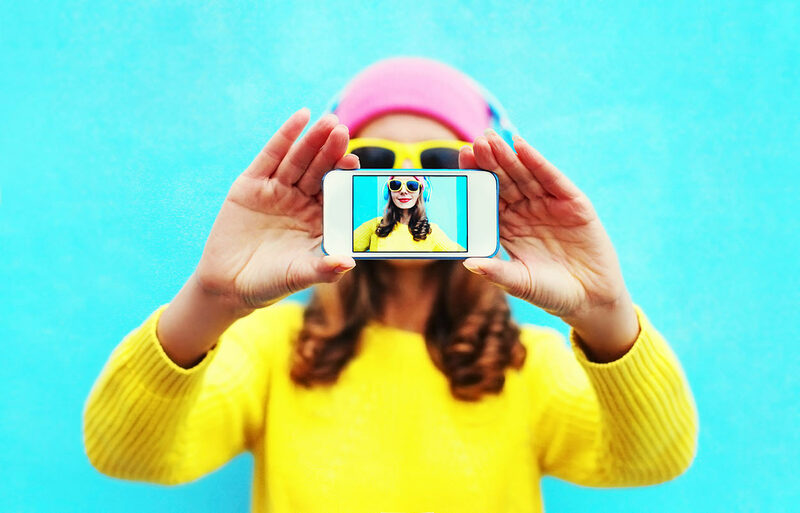 Through compelling visuals and a more casual tone, messaging platforms can help you create a research experience that’s more closely mimics a conversation rather than a formal, stodgy interrogation via a survey. The mobile-first nature of messaging apps means they can take advantage of built-in cameras on phones. 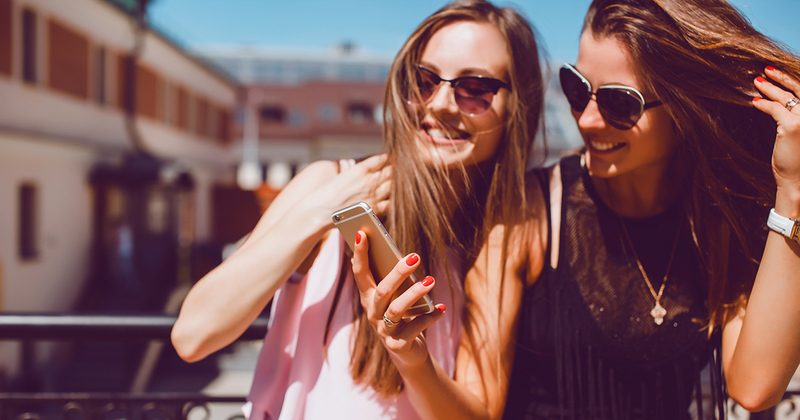 🤳 This is important for market researchers since videos and photos can provide additional color and context that’s not always possible to capture via text responses. Images and videos aren’t only great for qualitative research—they’re also useful for storytelling and inspiring your colleagues to take action. 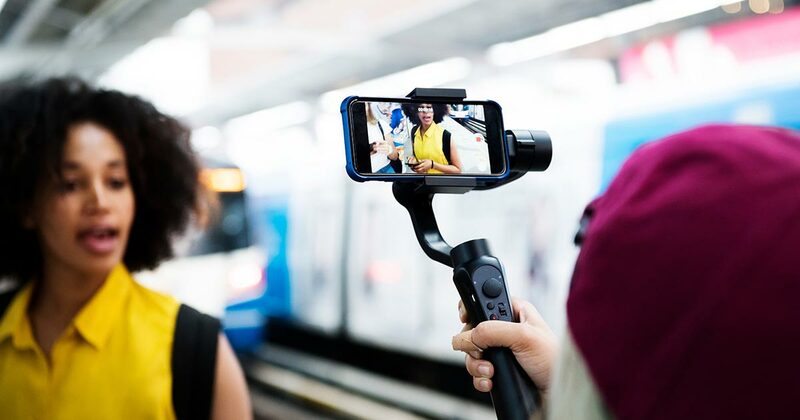 Many Rival customers have used videos 📹 they gathered from chat surveys in their internal presentations, helping put a human face 😀 behind the numbers. More and more consumers now expect brands to be available on messaging platforms. According to Facebook, 68% of people agree that messaging is the most convenient way to contact a business. 👍 Similarly 69% say they feel more confident about brands they can message. As messaging becomes the preferred way for consumers to communicate with brands, market researchers should figure out how to use messaging apps to talk to consumers. If your business isn’t using messaging platforms yet to engage with consumers, it’s likely your competitors already are. Here’s the rub: if your business isn’t using messaging platforms yet to engage with consumers, it’s likely your competitors already are. Today, 8 billion 😳 messages are exchanged between people and businesses—a 400% growth year over year. The wide adoption of messaging platforms will only continue to rise in the next few years. 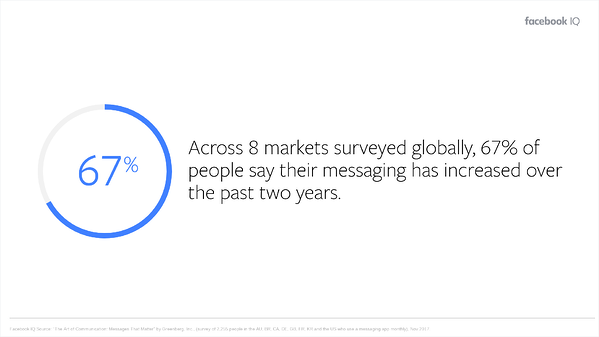 🚀 For instance, a 2018 study from Facebook found that 67% of consumers increased their use of messaging platforms over the past 2 years. 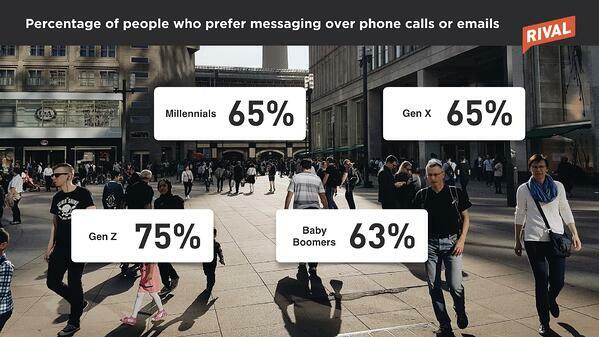 In addition, 51% said messaging has replaced other forms of communication. We’re just seeing the beginning of the messaging era. Market researchers should act now to harness the power of messaging apps to improve the respondent experience, gain insights faster than ever before, and capture accurate feedback that informs customer-centric decision making.